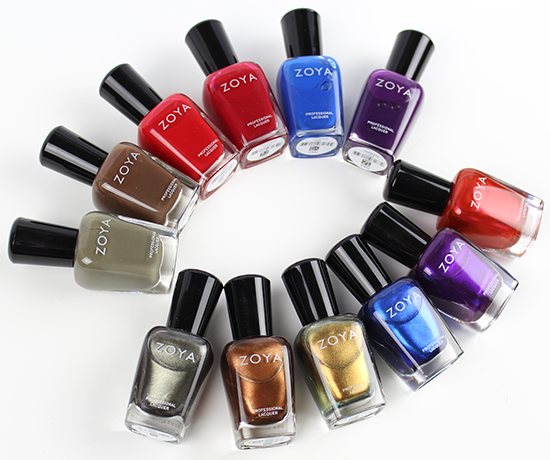 While I was opening up the package with the gorgeous Fall 2015 Zoya Focus Collection (cremes) and Zoya Flair Collection (metallics), I caught myself humming. It totally made me laugh because I had a boyfriend who once told me that he noticed that whenever I open up nail mail, I always hum. When I open up bills and junk mail, I’m silent like a lamb. Never realized it until he pointed it out. 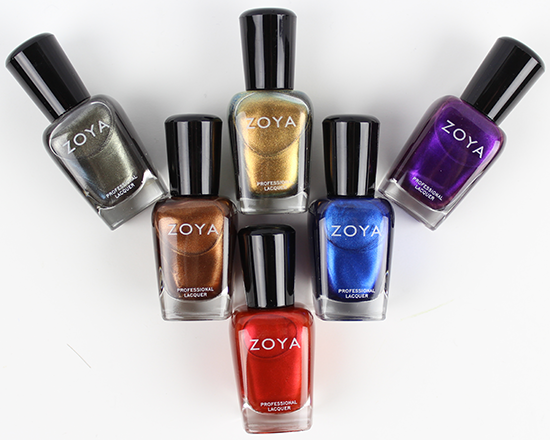 As I pulled each nail polish out of the box and welcomed them all to their new, loving home, my eyes were wide like a lemur, and I was standing up at attention like a meerkat! 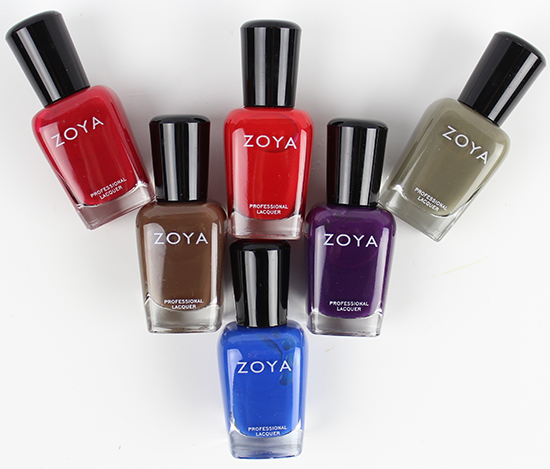 As usual, when I wear some as full manicures, I’ll do separate, in-depth reviews with swatches. P.S. If you want to view the official Zoya Focus & Flair Collections press release, I posted it not too long ago. 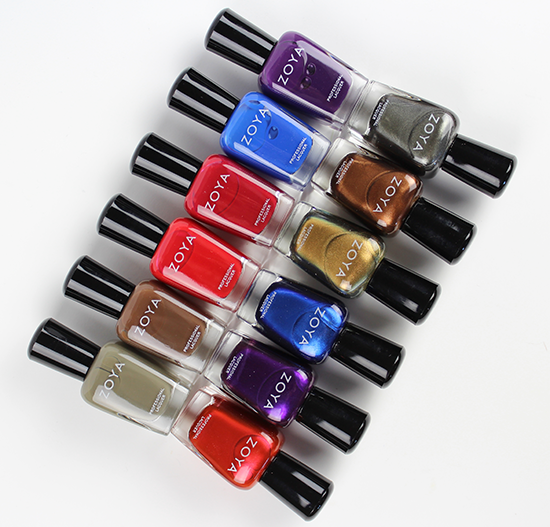 Click on the above link for the colour story and more information about the collection. 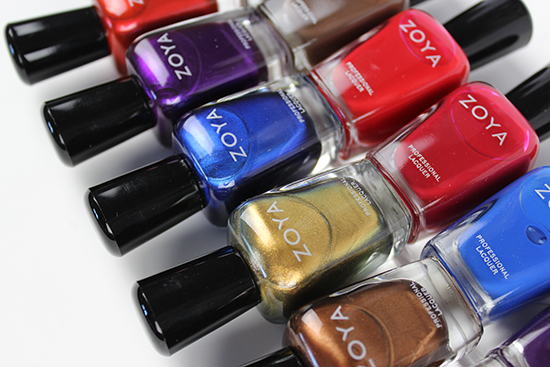 Disclosure: All of these nail polishes in this post were provided as press samples by Zoya. 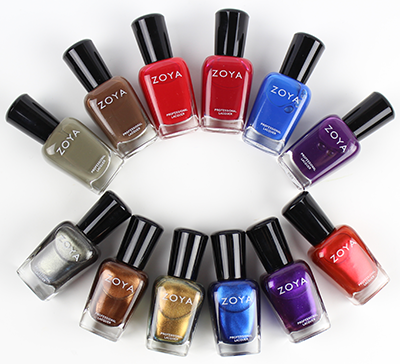 This entry was posted in Nail Polish Swatches & Reviews, Product Reviews, Quick Look and tagged Zoya on August 13, 2015 by Mary S..
Can’t wait to see your reviews of these great colors. i ordered 4 of the shimmers.. the gold, the red, the brown and the grey. i’m sure i’ll end up getting more 😉 i’m really curious to see the gold in person. it looks a little shifty and interesting. the brown i got bc it is so unique (to me). and the red and the grey i got just bc i’m a sucker for reds and greys.. always. i hope they send me a swatch plate with my order so i can compare the other colors to ones in my collection. 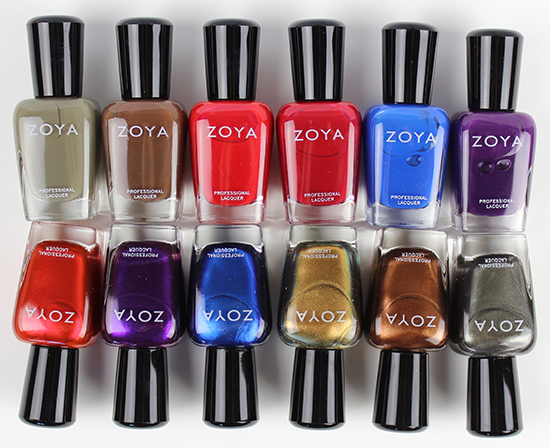 if i knew i didn’t have exact dupes, i’d buy the whole 12 polishes for sure. 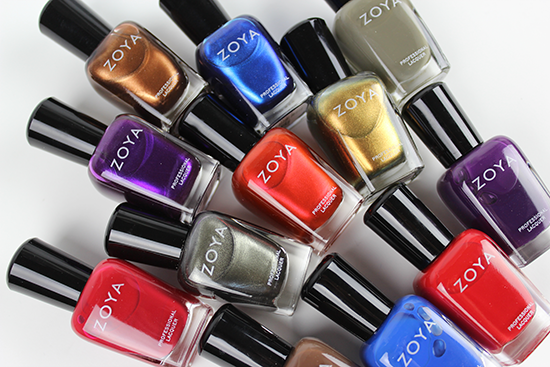 this is a stellar collection for fall!! 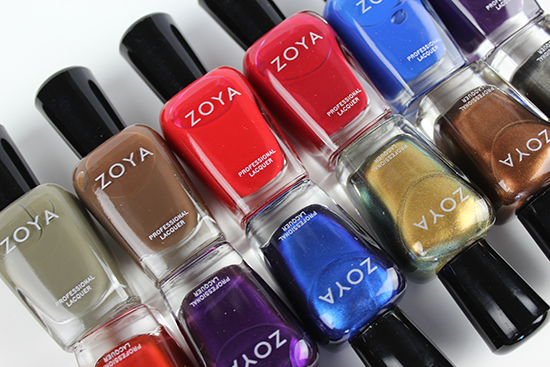 Sometimes nail polishes are like potato chips – betcha can’t just have one! 😉 I know that feeling all too well. Haha humming while you open nail mail. Cute! That’s the joy coming out of you. I l9vr this collection! The flair is my favorite especially Giada. Lol You knew that. Can’t wait to see review. The Cinnamon is calling my name, even though I think I’m too pale for it! Aww, where whatever colour you love! 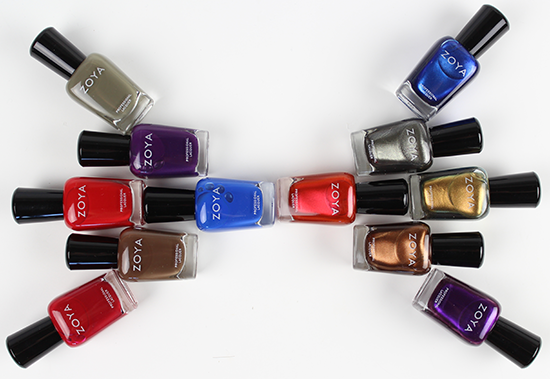 Even if there’s a lot of contrast between your skin tone and the polish, it can be a GOOD look! 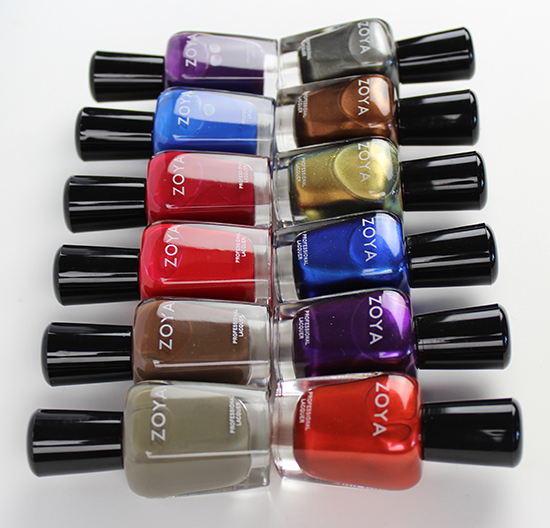 I love the Zoya Flair collection & Janel, Sia, & Lidia! Such a sucker for purples! I actually don’t mind fall I always think that the colours are pretty! 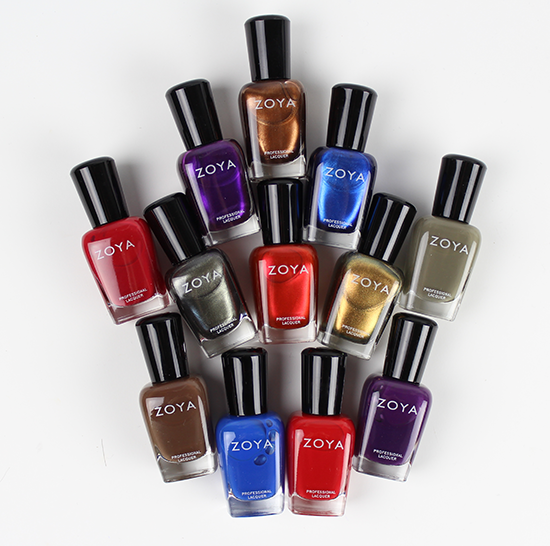 While I love the finish of the Flair Collection, I must say that Zoya sure knows how to create flawless cremes, and the Focus Collection has really impressed me to far!